In recent years Adobe has done a really good job of confusing everyone about its versions of Lightroom. Back in the old days we only had one current version at a time and they were named Lightroom 1, Lightroom 2, etc. This numbering strategy changed when Adobe moved most products to its subscription model, named Adobe Creative Cloud. 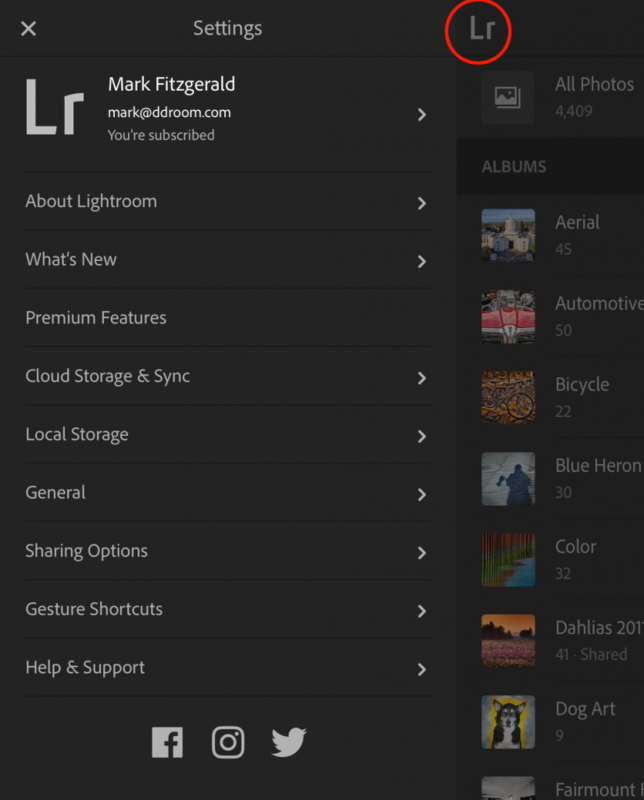 At the start of the Creative Cloud Lightroom was called Lightroom CC. Initially this change caused a bit of confusion over the final standalone version, Lightroom 6, and the subscription version. Even though the subscription version is a Creative Cloud product, the software installs on your desktop and all of your files stay there too. So it wasn’t a true cloud computing solution like QuickBooks Online, for example where the software is stored in the cloud and you can also store your data there too. The desktop version, Adobe Lightroom Classic CC. Notice that it has an Identity Plate at the top-left and a Module Picker at the top-right (Library, Develop, etc.) just like previous desktop versions (i.e. Lightroom 6). Adobe rebranded the previous Lightroom CC as Lightroom Classic CC and named the new cloud-based version Lightroom CC. I can’t tell you how many people I’ve met who are confused by this. And it’s no wonder. 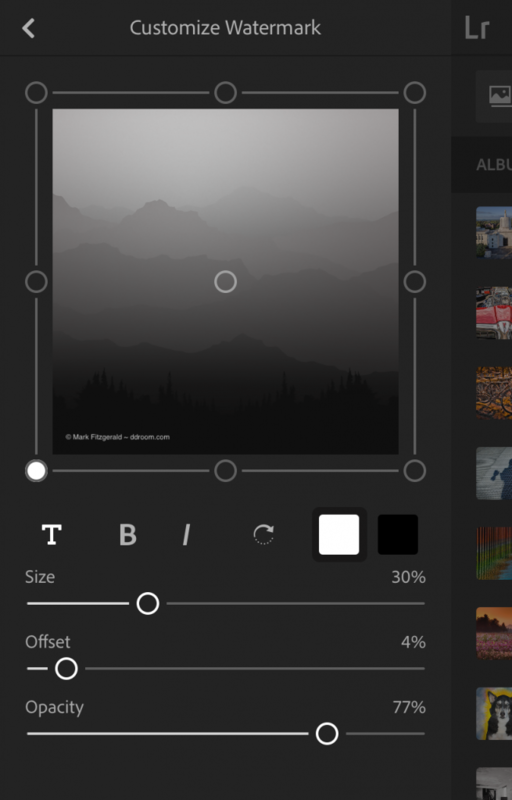 The cloud-based version, Lightroom CC. Notice it doesn’t have an Identity Plate or a Module Picker. It also has Albums on the left instead of Folders. 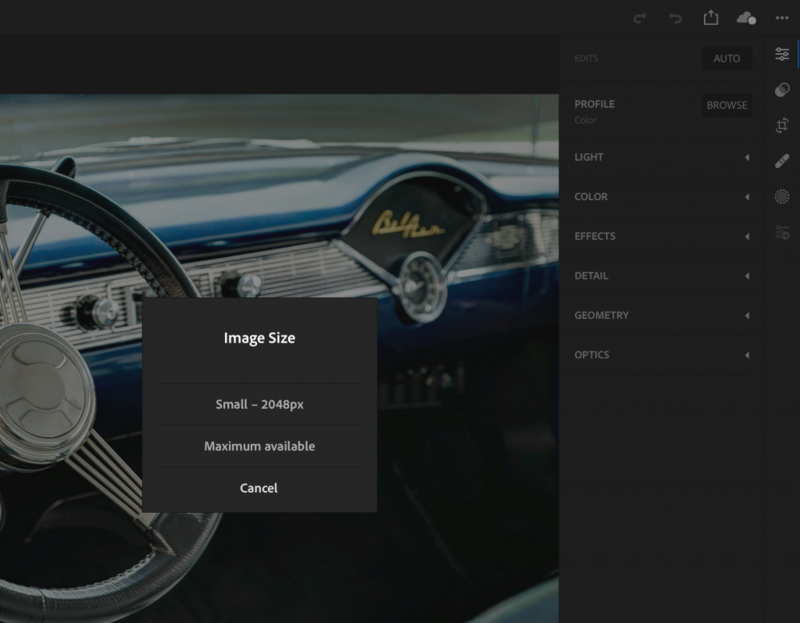 This cloud-based version of Lightroom CC has its uses, but it isn’t as fully featured as the desktop Lightroom Classic CC (at least not yet). Lightroom CC can be a great adjunct to the desktop version when you’re on the go, but most serious photographers focus their workflows on Lightroom Classic CC. If you subscribe to the Adobe Creative Cloud Photography plan, you are entitled to both versions of Lightroom in addition to Photoshop CC. 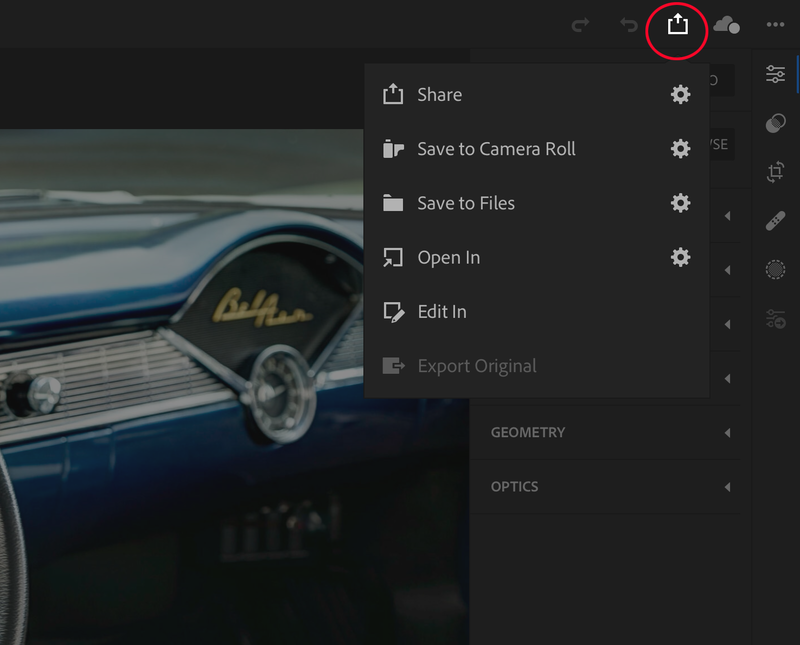 When you download or update your desktop version of Lightroom Classic CC, be sure to select the version circled at the bottom of the image below. 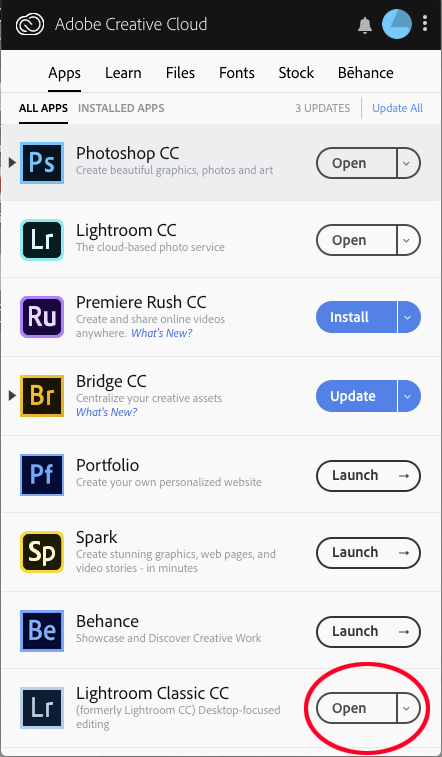 When downloading or updating Lightroom through the Adobe Creative Cloud service, be sure to pick the one on the bottom if you want the desktop-based version of Lightroom. One of the cool things about having Lightroom CC on your mobile device is the ability to email and post to social media directly from your device. If you are going to use this handy feature, it’s good to know how to watermark your photos before posting them. I am often surprised by how many Lightroom CC mobile users don’t realize how easy it is to apply a watermark. People have mixed feelings about watermarks. While some find them distracting, most professionals use watermarks to identify them as the maker of the image. When it comes to watermarking for me, it really depends on the type of image I’m sharing. If it’s a cute photo of our dogs doing something silly, I won’t use a watermark. When it’s one of my professional images, I always apply a watermark. The steps below detail how easy it is to turn on watermarking in Lightroom CC on you mobile device. 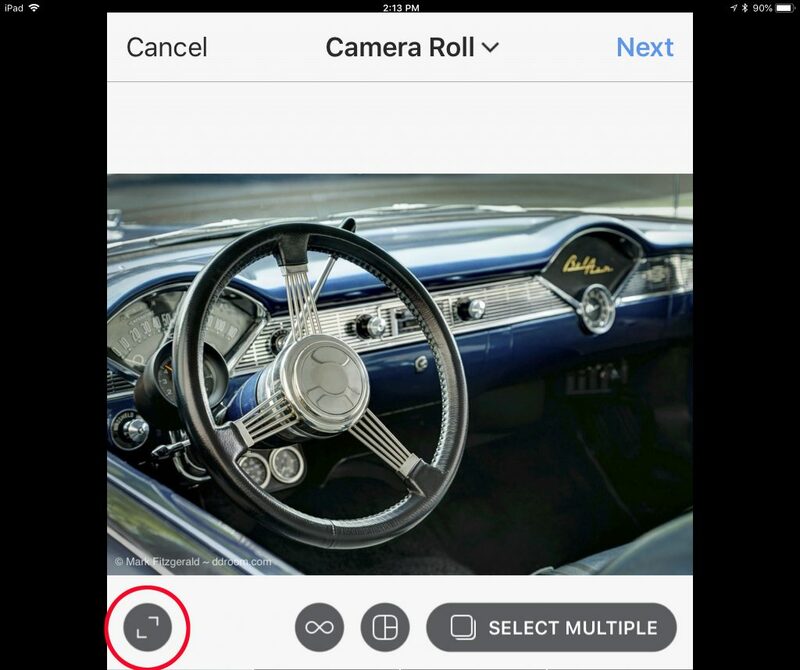 1) Open Lightroom CC on your mobile device and go to the main screen that shows your albums. Tap on the Lr icon at the top above where it says “All Photos” (circled in Figure 1) to open the Settings menu shown in Figure 1. 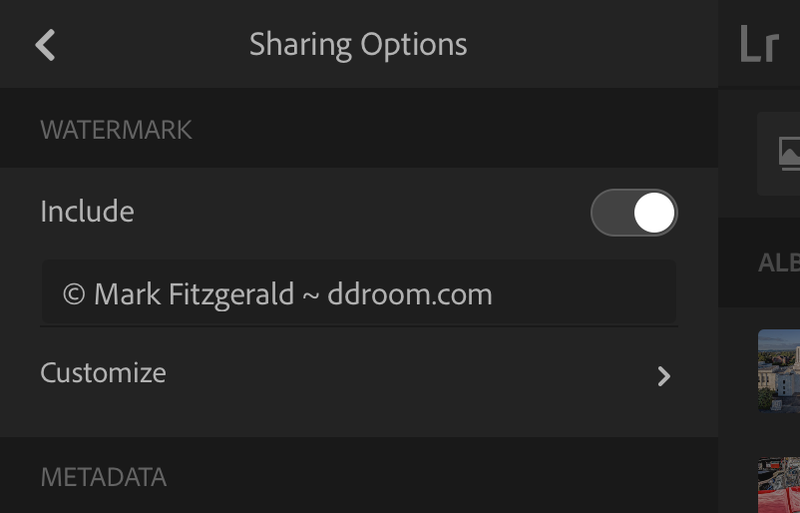 2) Tap Sharing Options to open the dialog shown in Figure 2. Tap the button to the right of “Include” so that it moves to the On position. This turns on the watermarking feature for all of your sharing. Type the watermark information you want to display on your photos in the text box. 3) Tap Customize to open the dialog shown in Figure 3. (A sample image is displayed to help you visualize what your watermark will look like.) This dialog enables you to customize the look of your watermark. Use the first row of options to make the text bold and/or italic. And you can rotate it to run down the side of the image instead of across the bottom. And you can use the color swatches to make the watermark text white or black. Then use the Size, Opacity, and Offset sliders to further customize the look of the watermark. Increasing the value of the Offset slider moves the watermark away from the edge of the image and toward the center. I prefer to give my watermark a bit of offset because I don’t like it too close to the edge. The circles around the outside and in the center of the sample image represent anchor points. These are used to anchor the watermark to a particular area of the image. In Figure 3 you can see that I have it anchored at the bottom-left. I recommend experimenting with the Customize options until you find the right combination for the watermark look and feel that works for you. 4) After you have the watermark looking the way you like it, use the back arrow at the top to back out of the dialogs until you’re back to the main Settings dialog (Figure 1). Then tap the “X” to close that dialog. That all there is to it. Now your watermark is ready to go and will be on the images you share via email and social media. 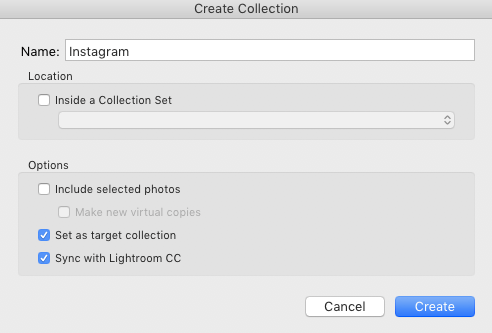 If you want to see how to use Lightroom CC on your mobile device to easily share photos to Instagram, check out this blog: Using Lightroom CC To Simplify Your Instagram Workflow. When was the last time you checked your backup? Each time I experience the biannual shift in time for Daylight Saving, I hear reminders to change the batteries in our smoke detectors, but no one reminds photographers to also change the time in their cameras. Capture time may not be as important as functioning smoke detectors, but having the wrong time in your camera can cause problems, especially when working with other photographers or shooting with multiple cameras. In these cases files captured at the same time from the two cameras won’t display next to one another when sorted by capture time, which can create an organizational mess. Fortunately, it’s really really easy to adjust capture time in Lightroom. 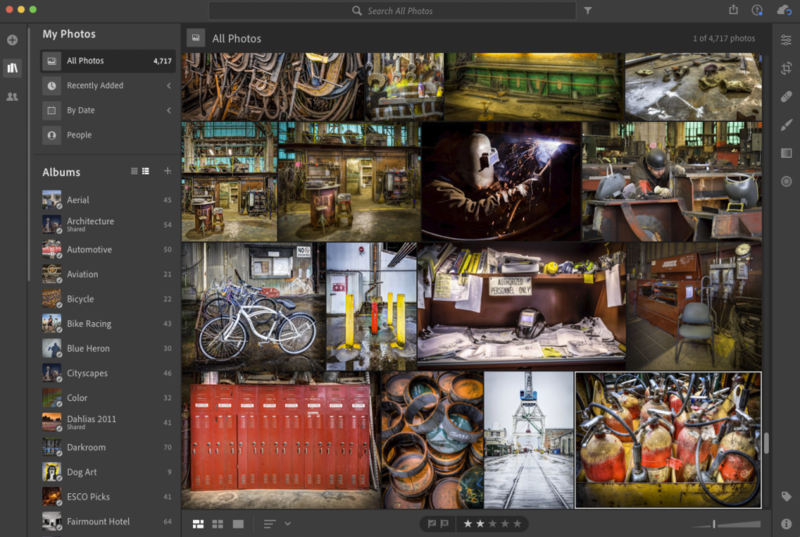 To do so, select all photos that need to be modified in Grid view. Then choose Metadata > Edit Capture Time. When you do, the Edit Capture Time dialog shown in Figure 1 opens. 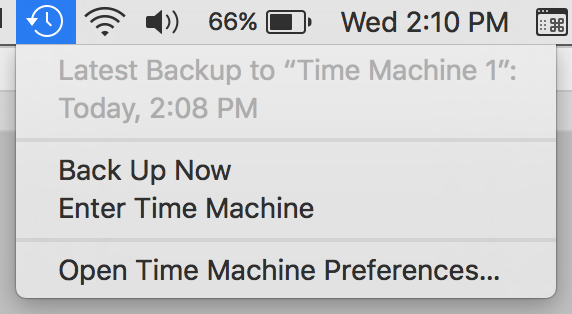 This dialog gives you three options to change the time. If your clock is off by an hour due to Daylight Saving, the easiest method is to use the Shift by set number of hours option. When you choose this option, a numerical menu is displayed to the right. Use it to adjust the hour plus or minus one or more hours. You can also type directly into the Corrected Time textbox if you need to change time by something other than round numbers (1 hour 12 minutes, for example). After you have the correct time set, select Change All to adjust metadata on all selected photos. If you check a time changed file’s time in the Metadata panel, as shown above in Figure 2, you’ll see The original time has been modified to the new value, but the actual “original” time is still what was recorded by the camera. When you sort by capture time in Lightroom, the new “original” time is used so now the files will sort in correct order. Note 1: There’s a scary warning at the bottom of the dialog in Figure 1: “This operation cannot be undone”. This is an odd warning because it’s easy to undo the time shift by choosing Metadata > Revert Capture Time to Original. What Adobe is really trying to say here is that you can’t use Edit > Undo… to undo a change made with Edit Capture Time. Note 2: When Write Date or Time Changes Into Proprietary Raw Files is selected in the Metadata section of the Catalog settings, the metadata for those files will be updated to reflect the change (rather than it just being stored in Lightroom’s catalog). However, the time can still be reset to the “original time” using the method described above in Note 1. I had a conversation with a commercial photographer friend yesterday that got me thinking about color blindness and photography. Color perception is something many of us take for granted, but you would be surprised at how many people suffer from some form of color perception deficiency (commonly called color blindness). For many people this has little real impact on their lives. But for photographers seeing color accurately can be important. Can you see the numbers here? The photographer I spoke to yesterday told me his color perception is weak in the red/green spectrum, which is the most common form of color blindness that affects 99% of color blind people. My friend said that whenever he needs to adjust critical color on images that have predominant red and green colors, he asks his wife (who sees color quite well) to look over his shoulder. I have met several photographers who have various stages of color perception deficiency, from mild to severe. Each has developed methods for successfully dealing with color in his or her photography. The key here is these people are aware of their color blindness. If you don’t know if you have a color deficiency, there’s an easy way to find out. Several years ago I was a supervisor at a professional photo lab where I managed a group of highly-skilled color correcters. When we needed to hire a new person for the team, one of the first things I would do during the interview was to have the applicant take a Ishahara Color Blindness Test to determine if he or she could see all ranges of the color spectrum. This test, which was developed early last century, is the most well know color perception test in use today. 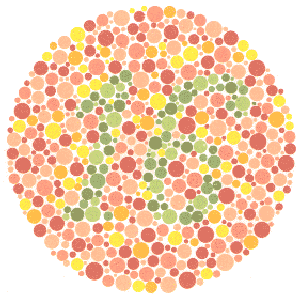 The Ishahara Color Blindness Test consists of 38 printed plates of patterns like the one shown above. You can take an online version of the test here. Though the online version isn’t as accurate as the printed plates, you can still get a good idea of what colors you can see, or more importantly the colors you can’t see. Then you’ll know if you need to develop strategies for dealing with color when it comes to critical adjustment. One thing to keep in mind when you take the test is that many people with normal color vision still don’t pass the test free of errors. About 8% of all men are suffering from color blindness. About 0.5% of all women are suffering from color blindness. A father can’t pass his red-green color blindness on to his sons. If a woman is red-green colorblind, all her sons will also be colorblind. Strongly colorblind people might only be able to tell about 20 hues apart from each other, with normal color vision this number raises to more than 100 different hues. See 45 other interesting facts about color blindness here. In the past when discussing Adobe’s DNG format in Basic Lightroom classes and books, I would say converting to DNG during import poses little risk. No data is lost and the DNG format has all the Lightroom editing capabilities of the original raw format. 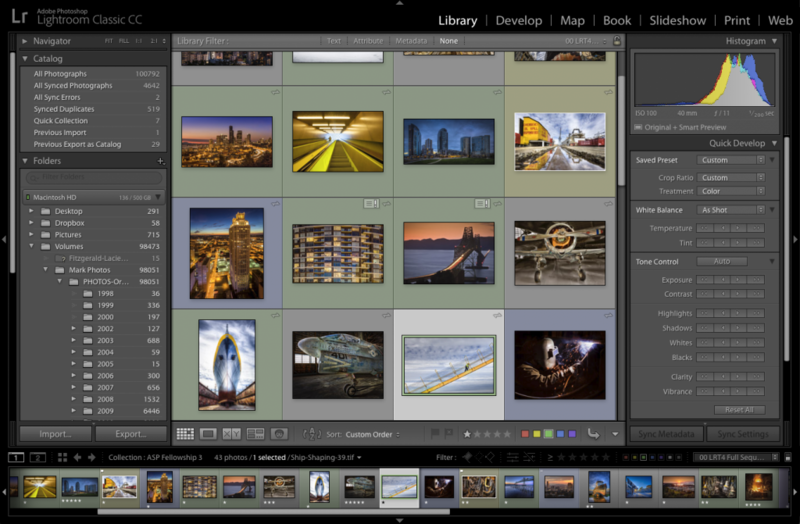 I recommended this because an advantage of DNG is that Lightroom can write metadata directly to the file, eliminating the need for XMP sidecar files with proprietary raw formats. The main downside to converting proprietary raw files to DNG during import is that the original raw files are normally discarded. I never considered this as a major issue because no important data is lost during the conversion. But yesterday a reader from England told me about a situation with DNG files that changed what I’ll be teaching in the future. Conor explained that he was planning to enter some photos in a wildlife photography competition. The rules for the competition stated that if your work is selected, you will need to provide the original raw file of the image to show it hasn’t been edited in certain ways, such as compositing. The rules also stated that DNG files would not be accepted as original files. The reasoning behind this is that proprietary raw files (such as CR2, NEF, ORF, etc.) that come directly out of a camera cannot be permanently edited. You can always revert the file back to its original status. But this isn’t true with some DNG files. Though some cameras are able to capture raw files in the DNG format, you can also create DNGs outside the camera. For example I can convert a heavily edited TIFF to the DNG format. Due to this flexibility a DNG file cannot be trusted to be a representation of an original file. This is why Conor ran into the problem with the wildlife competition. I imagine DNG is also an issue when entering photojournalism competitions and when presenting photos as evidence in legal proceedings. These situations may apply to only a handful of photographers, but they are reason enough for me to change my point-of-view on DNG. For now on I’ll tell students to forego the DNG file format and keep their original raw files intact. Yes, you can embed the original proprietary raw file inside a DNG when converting during import, but that will make the file almost twice as big as the original. I don’t see any advantage to DNG that would justify doubling the size of all your raw files. One more thing. Be sure to go to the Metadata tab in Lightroom’s Catalog settings and select the option to Automatically Write Changes to XMP, as shown in the figure above. This will ensure Lightroom’s metadata is saved with the original raw file rather than being buried in Lightroom’s catalog. This way if something unexpected happens and corrupts your catalog and you don’t have a good backup, all your edits are with the original files. A feature that I’ve always wanted in Lightroom is the ability to use a photo’s metadata to see where the camera focused when I shot the photo. The metadata is in the file, but for some reason Lightroom doesn’t use it. 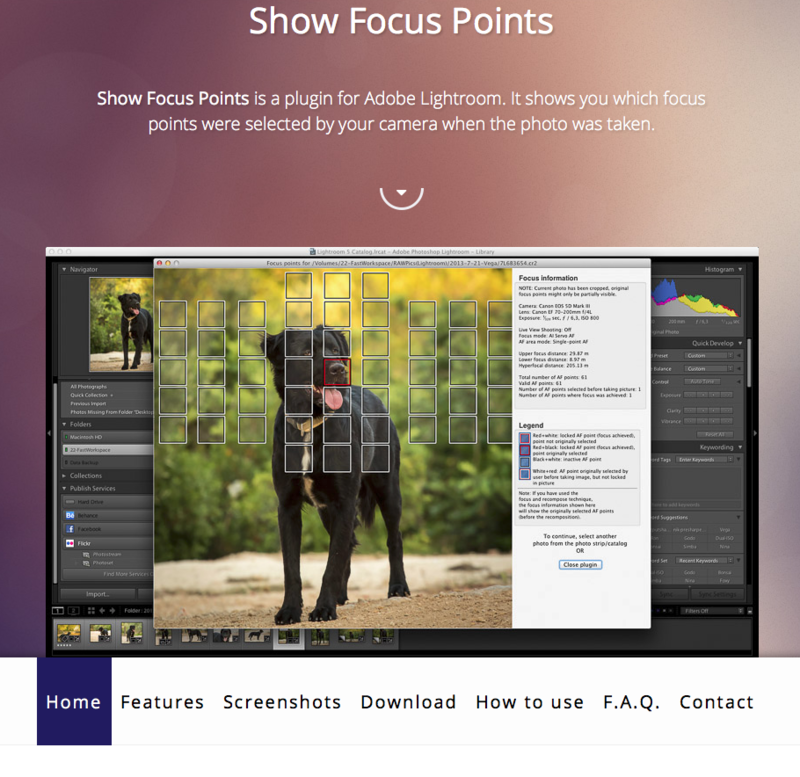 Now I can stop waiting for Adobe to add this feature because of a really cool, free Lightroom plugin named Show Focus Points, created by Chris Reimold. I’m not a huge Lightroom plugin user, but this one is a must have. In addition to showing the main focus point, Show Focus Points also displays information about focus distance, number of focal points, hyperfocal distance, and more. Though the plugin works on both Mac and Windows, it only works with Canon and Nikon cameras. Also be aware that the only way to deploy the plugin in Lightroom is to use Library > Plug-In Extras, which is one of the more unusual methods for using a plugin. A common Lightroom annoyance is when a panel suddenly disappears. You would be surprised at how often someone contacts me in a panic because he or she can’t find a needed panel. They have looked everywhere and they don’t understand what happened to it. In Figure 1 you can see what the problem looks like. The Basic panel is missing from the top of my Develop module panel set. Though the solution to this problem is easy, it isn’t obvious. I usually instruct students to look for solutions in the View and Window menus when the interface doesn’t look right. But in this case you won’t find the answer there. Now will you find it in preferences either. Instead you need to use our old friend, right-click. Figure 2 shows the menu that is displayed when I right-clicked on one of the panel headers (the bar that has the name of a panel) on the right side of the Develop module. This menu gives you the ability to conceal/reveal a panel in that set by unchecking/checking it. As you can see, Basic is unchecked. All I have to do is click on Basic in the menu to reveal it again. Problem solved! My guess is that panels initially go missing because a user accidentally right-clicks a panel header and then compounds the accidental click by accidentally clicking a panel name on the pop-up menu when attempting to navigate away from the menu. I honestly don’t see much value in intentionally hiding individual panels. If panels are taking too much screen real estate, you can choose Solo Mode to save space as I did in Figure 2. Solo Mode allows only one panel to be open at a time. 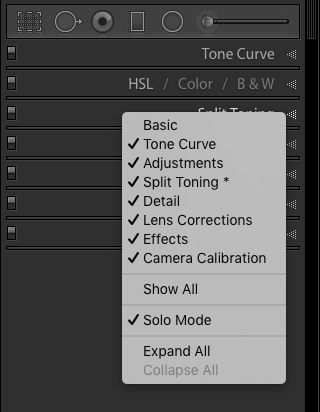 Each panel set, right and left in every module, can be controlled individually with Solo Mode, which gives you greater control over your Lightroom setup. 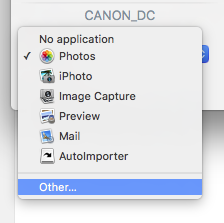 If you are a Lightroom user who works on a Mac, you have probably run into the issue of iPhoto (now called Photos) automatically opening every time you insert a media card. Sure, you close iPhoto/Photos and continue with Lightroom, but it is a PITA to have to do this every time you import. 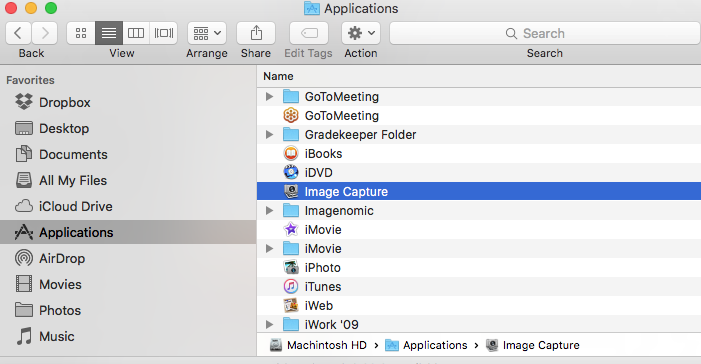 Fortunately, there’s an easy solution using a standard Mac program named Image Capture, that will turn this sucker off for good. 1.) Insert a camera media card into your card reader. When iPhoto/Photos opens, close it. 2.) Open Finder and navigate to the Applications folder. Scroll until you find an application named Image Capture. Double-click on Image Capture to open the program. 3.) 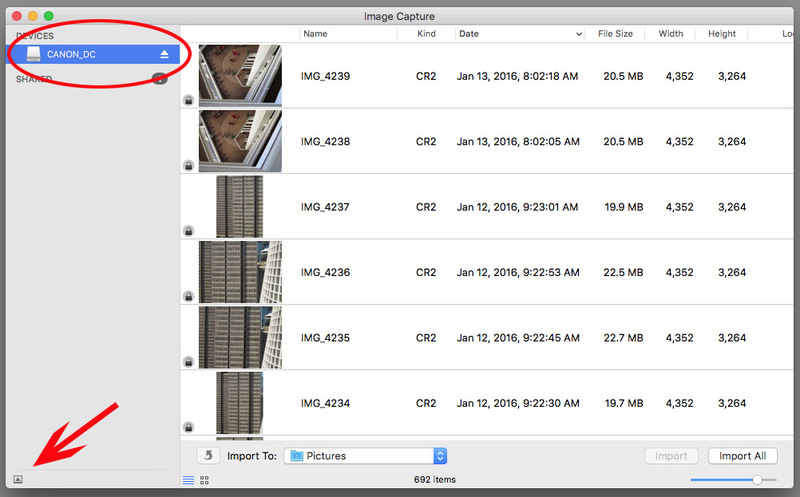 When Image Capture opens, notice your media card is listed at the top-left under Devices. Click on the media card to highlight it if it isn’t already highlighted, as circled in Figure 2. 4.) Okay. So far so good. Now for the tricky part. See the small icon at the bottom left? Click it to open a hidden menu. (Don’t ask me why Apple decided to start hiding this menu!) When you click the icon the menu shown in Figure 3 appears. Click in the menu and choose Other, as shown in Figure 4, to open a drop-down menu showing other applications that are located in your Applications folder. 5.) 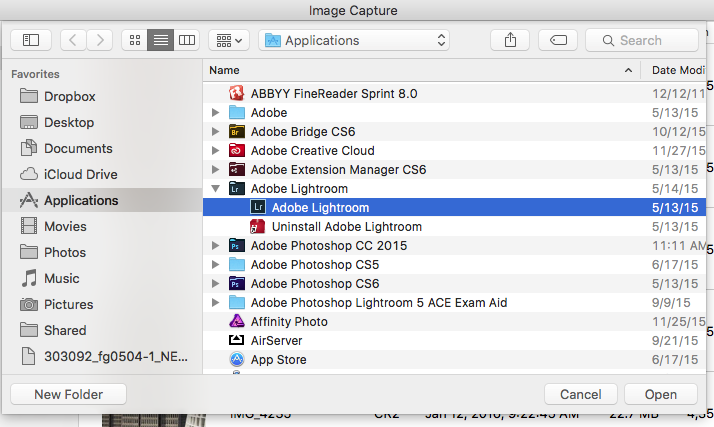 Navigate to your Lightroom folder and open it to reveal the Lightroom application nested within it. (If you are using an older version of Lightroom, the application may not be in a Lightroom folder.) Select Lightroom and click the Open button at the bottom right to choose it. 6.) 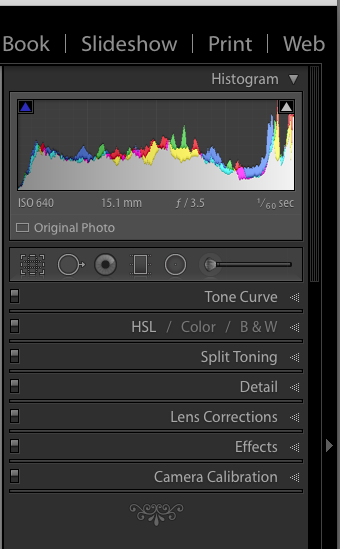 Now you should see Lightroom displayed in the menu, as shown in Figure 6. You are done with Image Capture so you can go ahead and close it.That’s all there is to it. iPhoto/Photos won’t open when you insert your media card any more. You should see Lightroom’s import dialog instead. Now you’re good to go. Just be advised that you will need to do this one time with each of the various media cards you use with your camera(s).